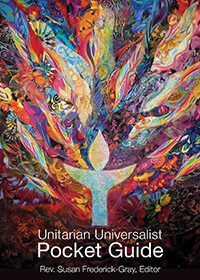 You are invited to attend the First Unitarian Universalist Fellowship of Hunterdon County’s fun spring event – I’M THINKING OF…SPRING! – on Saturday, May 18 from 5:45 p.m. to 9:00 p.m. at the Frenchtown Mason’s Darcy Lodge #37 outside Frenchtown, New Jersey! You can buy your tickets HERE to see Jesse Dameron and join the fun! Jesse has performed for the Philadelphia Phillies and entertained at the global headquarters of Johnson & Johnson. From Fortune 500 companies to casino stage productions, Dameron has extensive experience entertaining a variety of audiences. And on May 18, you and your family will get to experience the amazing talent of Jesse Dameron at the 2019 FUUFHC Spring Fundraiser! Please COMPLETE THE RSVP FORM HERE as soon as possible. Can’t make it, but still want to support the event? Regrets donations welcome HERE. Doors open at 5:45 p.m., dinner at 6:00, and show at 7:00 p.m. Adult tickets are $35 and $15 for children 4 to 16 years old. Questions or problems with the RSVP form? Please contact FUUFHCFundraising@hunterdonuu.org. Thank you so much for helping to ensure – I’m Thinking of…Spring! – FUUFHC’s family-fun, spring event with mentalist Jesse Dameron–is a success this year!